The spring is a time of new beginnings — fresh blooms, sprouting gardens and delicious spring produce. But what exactly is in season in spring? There are some springtime staples like strawberries and asparagus, but the season also gives us some not-as-popular (but equally delicious!) produce like radishes, mangoes and leeks. And with spring being a season of new beginnings, what better time to try some of these different ingredients? 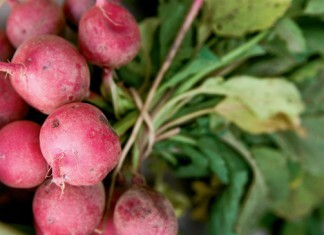 Below is a slideshow of seasonal spring produce that we can look forward to eating this time of year. Which one are you most excited about? Let us know in the comments! 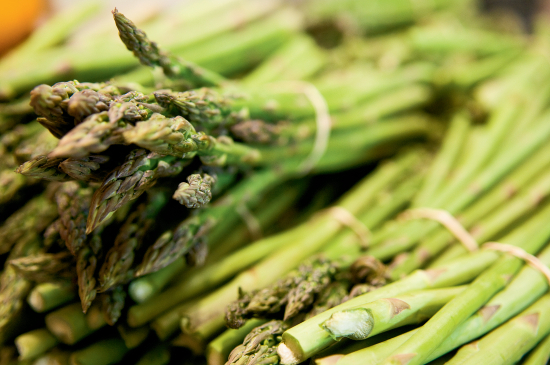 Asparagus is at its peak from March until May. This green veggie is high in fiber and vitamin K and can be broiled, steamed, grilled, roasted or sauteed. Try it in delicious recipes like our Asparagus Pizza Bianca and this Lighted Up Cream of Asparagus Soup. Discover which fruits and vegetables are at their peak during the spring season. What’s in Season This Winter? What’s In Season this Fall?